This February Half term sees the return of the Tropical Butterfly House’s popular ‘Looking Good’ event and the team have more exciting activities planned for visitors. Visitors can meet beautiful creatures from around the world in amazing animal encounters; including lemurs, meerkats, otters, exotic animals, and more. The event combines lots of fun with interesting facts about how animals keep themselves looking their best and how they attract a mate, and can be enjoyed by all ages. 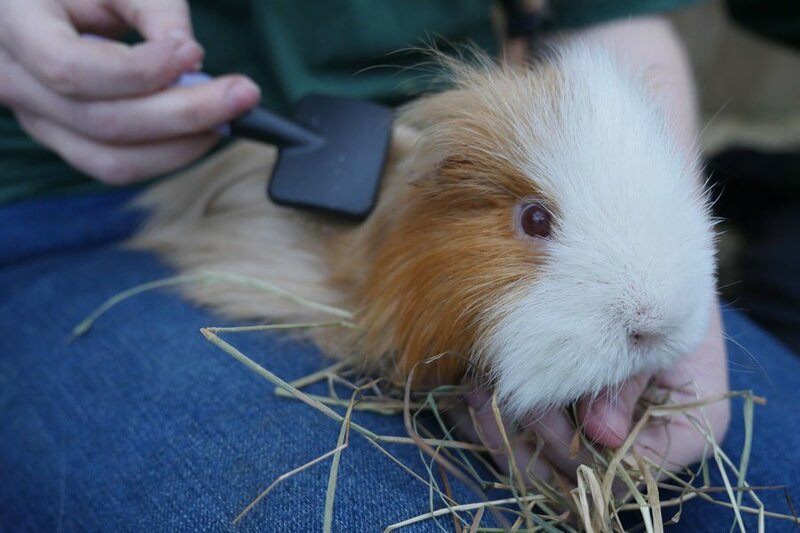 There will be a Guinea Pig Salon, where visitors can groom guinea pigs, and for a £1 donation to charity, visitors can make a Valentine’s gift for the lemurs and go in to their outdoor enclosure during the twice daily lemur talk. Guests are invited to take part in a free quiz trail, finding facts around the park to win a small prize, and a variety of crafts will be available for children in the Activity and Craft Centre. The young and the young at heart can have their faces painted and, for the extroverts, there will be a dress up competition! The Tropical Butterfly House hosts themed events throughout the year during school holidays. Zoo Curator, Andrew Reeve; “We are very fortunate to have a high percentage of returning visitors, so it’s fantastic to be able to offer them something new each time they see us by putting on a variety of animal encounters and activities. 2017 is set to be another very exciting year for us; with further improvements and additions to the centre. ‘Looking Good’ takes place daily from Saturday 11th February to Sunday 26th February, 10am – 5.30pm, normal admission charges apply, some activities may cost extra. The wildlife centre also has a special Valentine’s themed Afternoon Tea offer available from 11th – 14th February, booking in advance required. See www.butterflyhouse.co.uk for more information and to plan your visit. The Tropical Butterfly House is open daily, all year-round and is located just five minutes from the M1, junction 31, with free parking.